Rutherfordton, the seat of Rutherford County, is in the foothills of North Carolina in the Forest City metro area. It is served by State Highway 108 and US Highway 74. 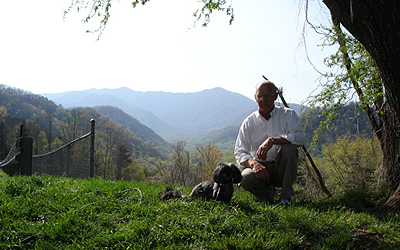 The towns of Lake Lure and Chimney Rock are approximately 20 miles west. Lake James, the Blue Ridge Mountains, Tyron International Equestrian Center and more await you. By 1540 Cherokee Indians had already been living in the region for a number of years. Rutherford County was formed in 1779 from Tryon County when it was divided to form Rutherford and Lincoln counties. The county was prospering by the 1830s due to demand for farm and home products. At one time Rutherford County was the center of gold production in the United States and had the distinction of operating the only private gold mint ever operated in the southeastern United States and was the first mint to coin a gold dollar. With the Civil War came a period of railroad building that led to better shipping to distant markets. After the Civil War, reconstruction had both good and bad effects on the region. Rutherfordton, N.C., offers a marvelous climate. An unusual natural thermal belt runs through Hickory Nut Gorge, providing our region with moderate temperatures that make the winters a little warmer and the summers a little cooler than surrounding areas. Nearby Tryon is famous as a select retirement area, in large part due to the splendid climate. Area health needs are met by Rutherford Hospital, the VA Hospital and a major heart center in Spartanburg. Performing arts, museums and quaint villages offer everything from antiques to fine local crafts. Recreation is almost unlimited with events like the Block House Steeplechase, various horse shows and fox hunting. Tyron International Equestrian Center is one of the premier riding facilities in the world. TIEC hosts elite competitions, festivals and concerts. The facility is open year-round for watching, dining, shopping and more. 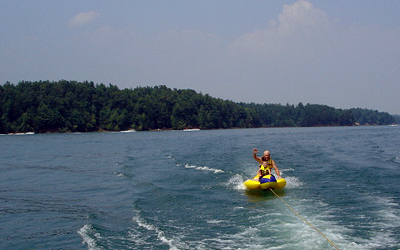 Lake James State Park features 6,812 acres of clear water for camping, kayaking, fishing and boating, while walking and hiking trails surround Chimney Rock Park. Rutherford County also features seven challenging golf courses and plenty of scenic trails for horseback riding. United Country Real Estate boasts more than 90 years of lifestyle property expertise. Contact Country Lanes Real Estate today in Rutherfordton, N.C., to view an extensive selection of equine, rural property, mountain property, country homes for sale and more.